Once you have EZ Notify installed you'll be brought to our home page which will allow you to install our slack application. You can also register for events you want posted into the Slack room of your choosing. To install our slack app you can click on the “Add to Slack” button on the top of our home page. 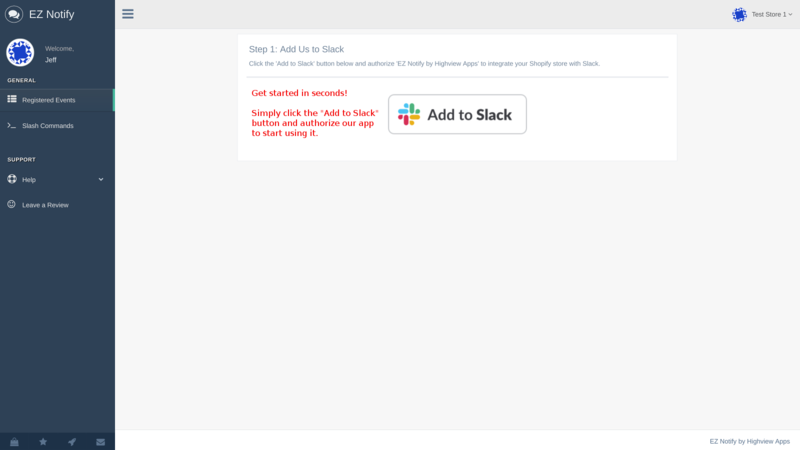 Once you click on the Add to Slack button you will be redirected to slack.com. 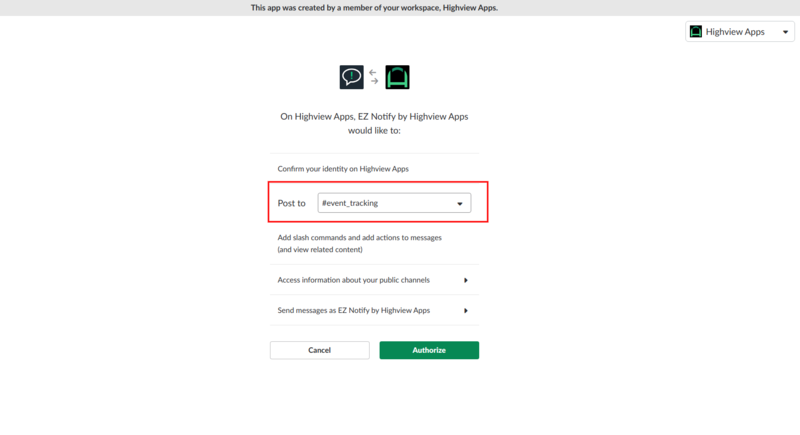 At this point you will be presented with a set of options and slack will ask if "EZ Notify by Highview Apps" can access your slack account. Select which channel you would like EZ Notify to post too. Click the “Post to” dropdown and pick the channel you would like us to send messages to. After you have selected a room to “Post to” the Authorize button will be activated. At this point you can click the Authorize button which will redirect you back to the EZ Notify home page. You will now be able to configure which events you want to send to your slack channel. Registering for events is pretty simple. To bring up the Add Shopify Event dialog click the Add Event button on the top right of the page. 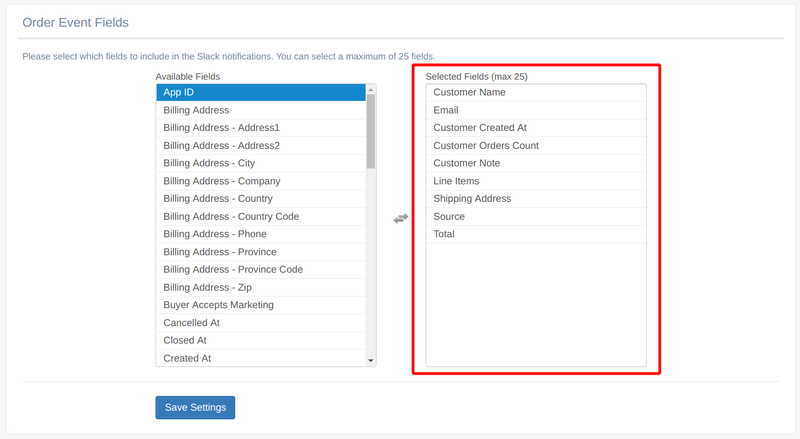 The Add Shopify Event dialog has two fields. The Shopify Events dropdown, which allows you to select which Shopify event you want to send to Slack. The second field is the Slack Channel which is not editable from this dialog. This field is used to let you know which Slack channel your events will be sent too. Once you select the event you would like to register for, simply click the “Add” button. You will see a message letting you know your event has been registered and you will now see an entry in the “Your Registered Events” table. If you want to change the slack channel after you've registered, you can do so by clicking the change link in the Registered Events table or the Change Slack Channel menu option. This will bring you back to the connect to slack page. Here you can select the channel to “post to” and click Authorize. 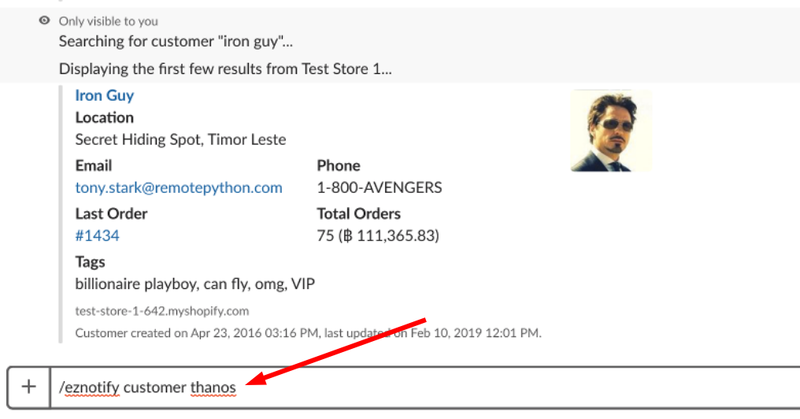 While you're in Slack, you can use the following commands to search your Shopify store and quickly display summary information about an order, product, or customer. Please note that this feature is only available in the Professional Plan. If you've used Shopify Flow in the past, this will look quite familiar. The basic idea here is to route notifications based on specific events and conditions to your chosen Slack channels or users.